Yipee! It's summer holidays. We're celebrating with a trio of new releases, our 2017 Pinot Gris, 2016 Merlot and 2016 Cabernet Sauvignon. 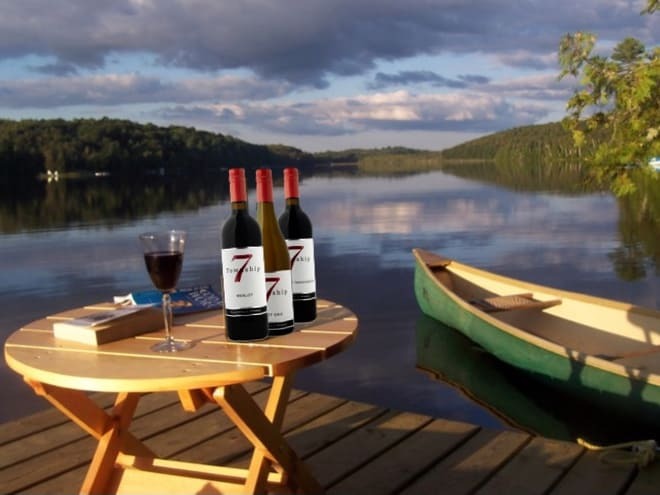 Make the most of the great BC summer weather, relax by the lake or on the patio and enjoy a glass or two with friends! Our 2017 Pinot Gris, is a single vineyard wine crafted with grapes from Hidden Terrace in north Oliver. Reminiscent of the Italian Pinot Grigio style, this vintage has heady aromas of pear and apricot. The palate is crisp and refreshing with flavours of granny smith apple, and key lime with a flinty mineral finish. Serve with a variety of foods including quinoa and pickled vegetable salad. Available at the winery for $18.97. The 2016 Merlot is rich and supple with black cherry and ripe plum tempered with aromas of tobacco leaves, cocoa and vanilla. The combination of south Okanagan terroirs from Naramata and North Bench Oliver adds complexity along with barrel aging to soften tannins. Enjoy with blueberry duck breast. Available at the winery and BC LDB for $27.97. The 2016 Cabernet Sauvignon is full of aromas of black currant and dark cherry tempered with tobacco and graphite. The blend of terroirs from Osoyoos and north Bench Oliver delivers a wine of complexity and a hint of minerality on the palate. The soft tannins and ripe fruit pair perfectly grilled venison and roasted potatoes. Available at the winery for $27.97.